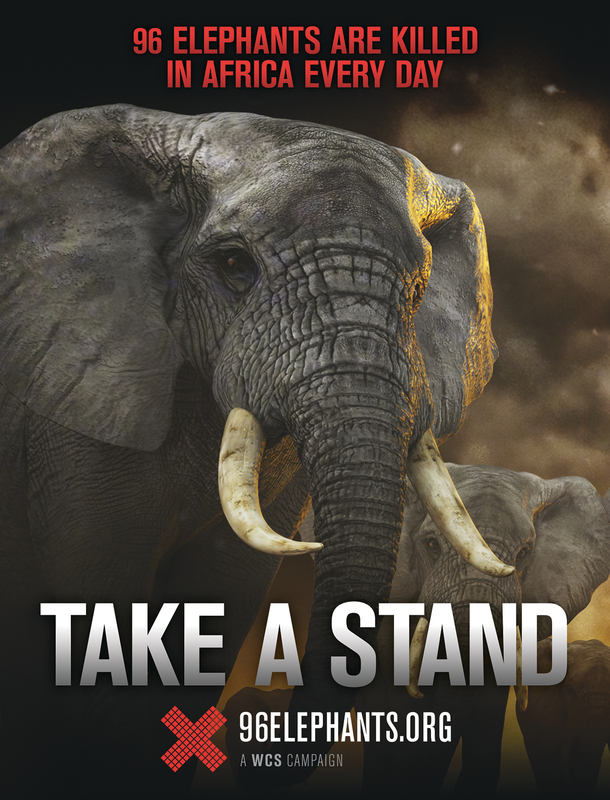 Ad is part of new 96 Elephants campaign: "Take a Stand for Elephants"
Africa's elephants have just gotten a powerful new supporter -- music legend, Billy Joel. Joel's voice is heard in a series of new ads supporting the Wildlife Conservation Society's (WCS) 96 Elephants campaign -- so named for the number of elephants slaughtered each day by poachers. With the backdrop of computer-animated elephants coming to life from shards of ivory, Joel's voiceover warns: "We can't turn back time, but we can reverse this trend. Don't be the generation that allowed elephants to go extinct." 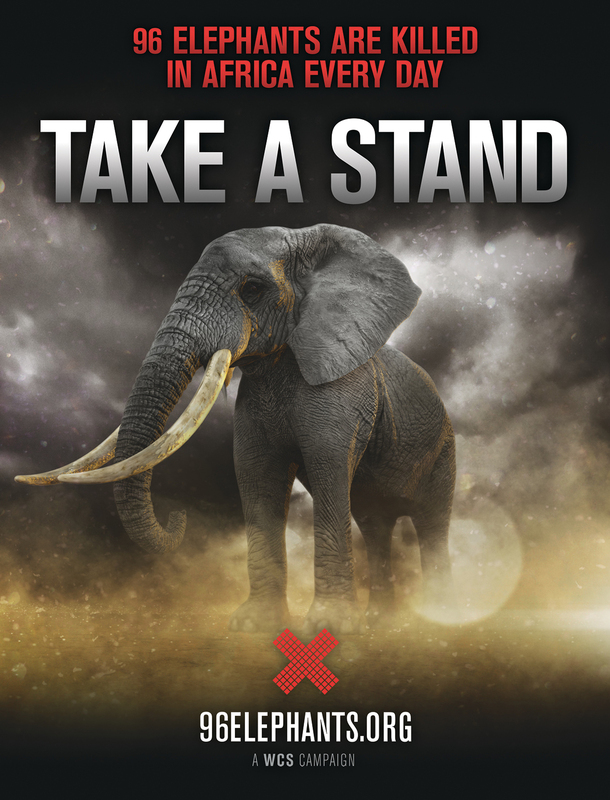 The "Take a Stand for Elephants" campaign was conceived and developed for 96 Elephants by pro bono partner, Steve Harper, founder of ThisisBonaFide.com. Harper is an independent creative director, designer, and animator based in New York. The campaign will appear across television, radio, print, digital, and OOH channels and media will be activated by Horizon Media, working on behalf of 96 Elephants. Additionally, Quinn will continue to serve as the public relations partner for the 96 Elephants effort. Last year, Joel wrote a passionate, open letter published on his website: "I am a piano player. And I realize that ivory piano keys are preferred by some pianists…but a preference for ivory keys does not justify the slaughter of 96 elephants every day. There are other materials which can be substituted for piano keys. But magnificent creatures like these can never be replaced. Music must never be used as an excuse to destroy an endangered species. Music should be a celebration of life -- not an instrument of death." Said John Calvelli, WCS Executive Vice President of Public Affairs and Director of the 96 Elephants campaign: "Through his timeless music, Billy Joel has become a cultural icon and has spoken out for many important causes. Now, Billy Joel has taken a stand for elephants, and for that we are extremely grateful." Said Bill Koenigsberg, President, CEO, and founder of Horizon Media. "Since partnering with The Wildlife Conservation Society last year, 96 Elephants have seen incredible momentum to protect elephants by securing effective US moratorium laws, bolstering elephant protection with additional funding, and educating the public about the link between ivory consumption and the elephant poaching crisis. We have come a long way but more needs to be done and we are excited to have Billy Joel lend his star power to the 96 Elephants movement." 96 Elephants brings together world citizens, partners, thought leaders, and change makers to leverage collective influence to stop the killing of elephants, stop the trafficking, and stop the demand for ivory. Working with campaign members, which includes 195 partners including 125 zoos across 45 states, 96 Elephants has helped banned ivory sales in New York and New Jersey and is currently supporting proposed bans in California -- the largest ivory market after New York -- and across the United States. MISSION: WCS saves wildlife and wild places worldwide through science, conservation action, education, and inspiring people to value nature. VISION: WCS envisions a world where wildlife thrives in healthy lands and seas, valued by societies that embrace and benefit from the diversity and integrity of life on earth. To achieve our mission, WCS, based at the Bronx Zoo, harnesses the power of its Global Conservation Program in more than 60 nations and in all the world's oceans and its five wildlife parks in New York City, visited by 4 million people annually. WCS combines its expertise in the field, zoos, and aquarium to achieve its conservation mission. Visit: www.wcs.org; http://www.facebook.com/TheWCS; http://www.youtube.com/user/WCSMedia Follow: @thewcs. Quinn is a lifestyle public relations agency with global impact. The agency's disciplined strategic approach to PR has built some of the largest audiences in the world. With offices in New York and Miami and affiliates worldwide, Quinn serves clients in travel, real estate, spa, experiences and retail as well as many food, wine & spirits brands. Working collaboratively to develop narrative-based ideation, Quinn produces strategies that capture the attention of today's sophisticated consumer. In addition, Quinn integrates multiple communication channels with partnerships, events and ideation to produce work that is highly effective -- and measurable.